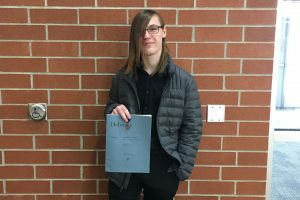 Thirteen University High School student musicians recently competed in the Indiana State School Music Association’s (ISSMA) Solo and Ensemble district competitions. 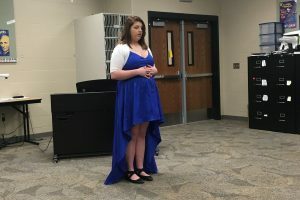 Five students competed in the vocal/piano district competition on Saturday, Jan. 26, and nine Trailblazers competed in the wind/strings/percussion district competition on Saturday, Feb. 1. Paganelli and Ricks both earned a gold rating in Group 2 for their performances. Lautenbach earned a silver rating in Group 1. And Paavola and Zhong both earned gold ratings in Group 1. 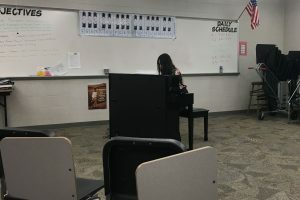 Paavola’s and Zhong’s ratings qualified them for the state competition, which will take place Saturday, Feb. 16 at Perry Meridian Middle School. 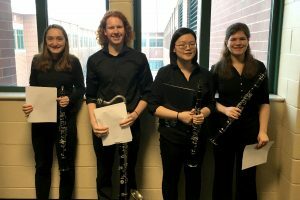 Additionally, Kaitlin Beheler, Ella Longoria, Cole Reinholt, and Karen Wang performed a clarinet quartet. All of the students competed in Group 1 for the wind/strings/percussion competition. 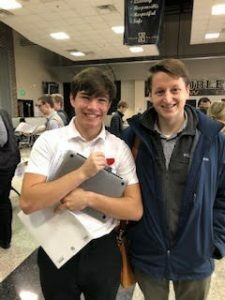 Eli Beheler and Swearingen both earned silver ratings on their solos, and the clarinet quartet also earned a silver rating. Kaitlyn Beheler, Hwang, Paavola, and Papadopolous all earned gold ratings on their solos and thus qualified for the state competitions on Saturday, Feb. 23 at North Central High School (wind/percussion) and Northview Middle School (strings). 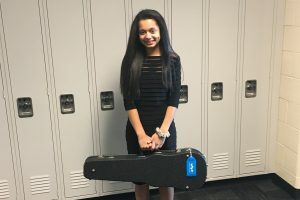 Congratulations to these University High School student musicians! The clarinet quartet of (left to right) Ella Longoria, Cole Reinholt, Karen Wang, and Kaitlyn Beheler earned a silver rating in Group 1. Ryan Ricks earned a gold rating in Group 2 for her piano performance. Brooke Paganelli earned a gold rating in Group 2 for her vocal performance. Daniel Paavola earned a gold rating in Group 1 for his piano performance, and he qualified for the state competition on Feb. 16. Katherine Zhong earned a gold rating on her piano performance in Group 1. She will compete in the state competition on Feb. 16. 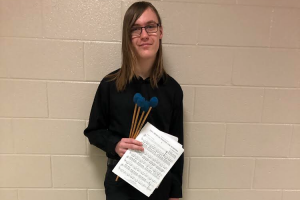 In addition to his state qualifying piano performance, Daniel Paavola also earned a gold rating in Group 1 for his marimba performance and another trip to the state competition. 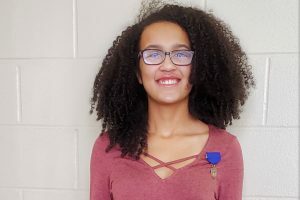 Avani Papadopolous earned a gold medal in Group 1 for her violin performance, and she qualified for state competition. 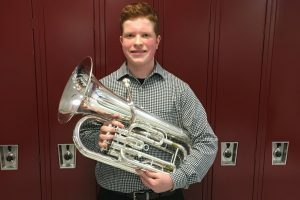 Eli Beheler earned a silver medal in Group 1 for his euphonium performance. Sam Lautenbach earned a silver medal in Group 1 for his vocal performance.